A new year is all about starting a fresh and realising your dreams. A good beginning makes a good end. 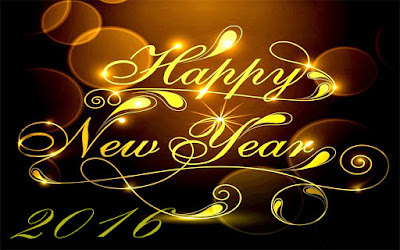 You will never win if you never begin.So, let’s raise a toast to a Happy New Year and even happier beginnings. 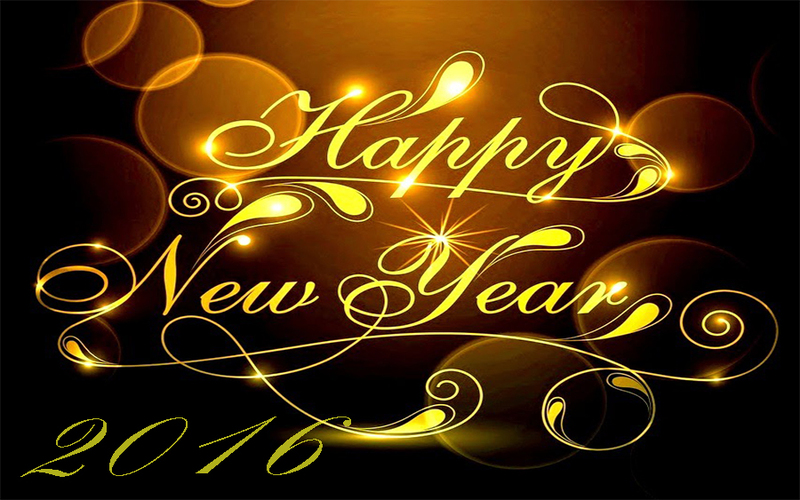 Wishing you a great, prosperous, blissful, healthy, bright, delightful, energetic and extremely Happy New Year 2016. 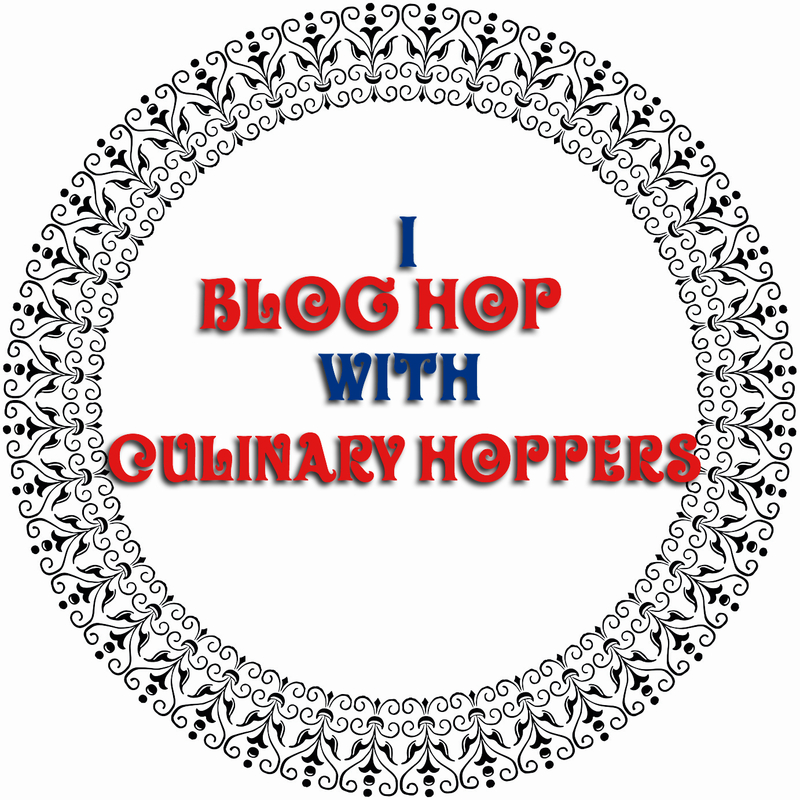 This is our first Blog Hop (2016 ) from culinary hoppers and its really interesting with particular Cuisine. This time we have discussed South Canara dishes and everyone in our group were happy to try some new dishes.Being in Karnataka,almost I have tried quite a lot of varieties . Some major flop and few came out well.My mother-in-law used to help me when I make mistakes.With the help of her,I learnt to rectify lots of mistakes. 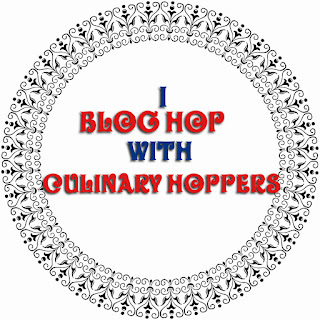 This time the theme for Culinary Hoppers “Blog Hop” is South Canara Cuisine.All our Culinary hopper fellow bloggers have done a great effort to prepare wonderful dishes related with South CanaraI have decided to do Udupi Tomato saaru coz its one of the traditional recipe. The unique taste representes the fresh homemade ground rasam powder and the usage of jaggery. Here I am sharing another favorite rasam which is originated in Udupi. My hubby loves Udupi Sri Krishna Temple.This is one of the traditionally tomato rasam which is marked by its aroma and its powder.Udupi tomato rasam is prepared with ripe tomatoes, toor dal, Udupi rasam powder, jaggery and tamarind with some spices to play with it. It’s actually a warming soup for this cold weather. Here is the recipe that was waiting for the longest time in my drafts. 1. 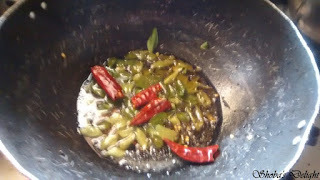 Wash the tomatoes, curry leaves & chop them into finely. 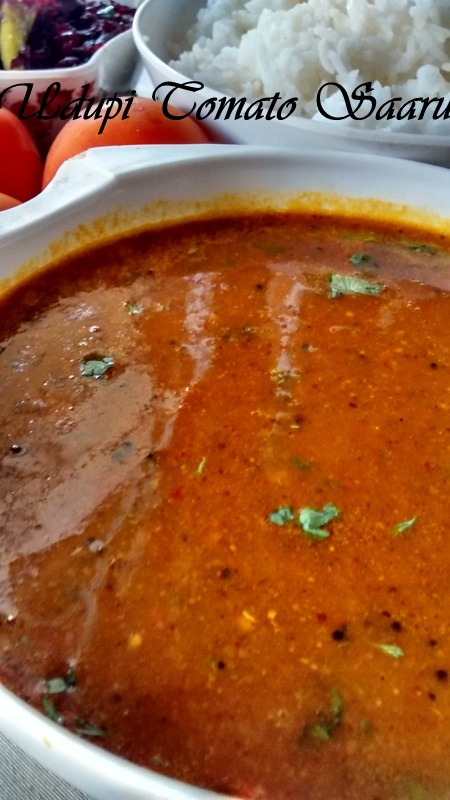 Wash the pigeon peas/toor dal. 2. 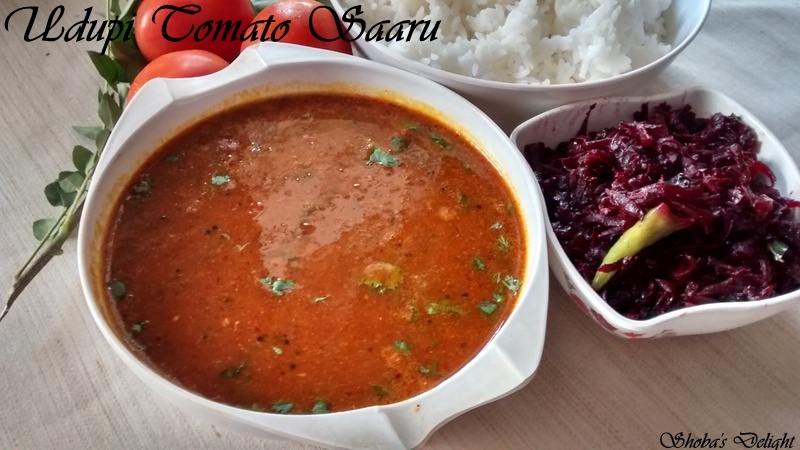 Combine toor dal and tomato in the pressure cooker with a cup of water and pressure cook for 3 whistles. Allow the pressure cooker to cool a bit. 3. Meantime, in a broad vessel add a cup of water. To that add tamarind extract, salt, jaggery & heat it on a medium flame. When the mixture starts boiling, add the cooked pigeon peas mixture & boil it again. 4. 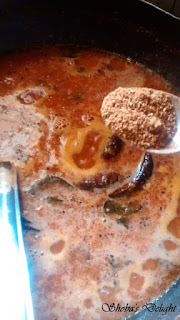 When the mixture just starts to boil again, add the rasam powder. 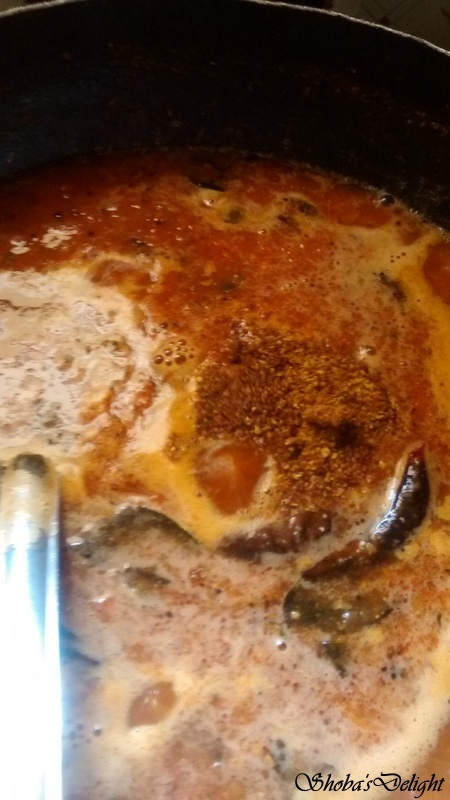 Turn off the heat when the rasam reaches the rolling boil state. 5. Prepare the tempering. Heat oil in a small pan. 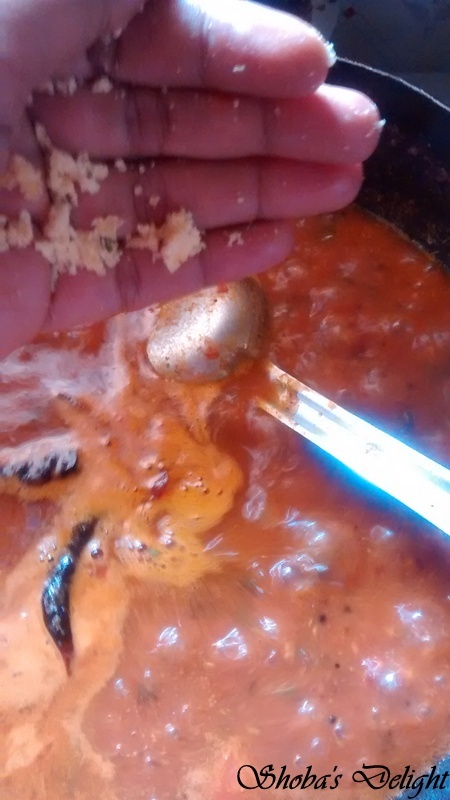 When oil is hot, add mustard seeds and urad dal.When mustard seeds splutter add dry red chillies. 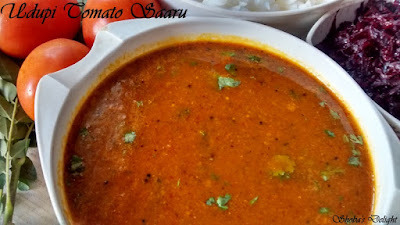 Turn off the heat & pour the tempering over the rasam prepared. Authentic taste, do not skip the jaggery.